They say any publicity is good publicity but surely not this kind of publicity, right? That’s what happens when one of the world’s most recognizable athletes turns golf style on its head with an outfit better suited for a comptroller. 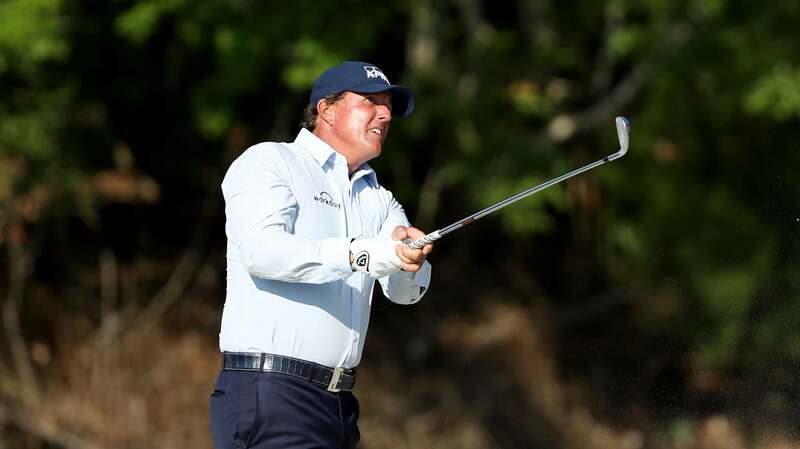 Under the terms of the deal, Mickelson is not required to wear the shirts, Lavelle said, but with an equity interest naturally it benefits him to do so. More eyeballs mean more sales. Some of the Mizzen+Main folks debated whether a steamy spring round in Florida was the best place for Mickelson to model the shirt — “we were worried it was going to look like he’d jumped out of a pool,” Lavelle said — but Mickelson insisted the timing was right. “He played 18 holes of golf walking in Florida in May and the shirt looked perfect,” Lavelle said. Despite Mickelson’s marketing clout, it’s hard to imagine dress shirts sweeping the golf world by storm. But that was never the point, Lavelle said. His hope is that when consumers see that the shirt is comfortable and flexible enough to play golf in — it’s 85% polyester and 15% spandex — they’ll be confident that it will also hold up when they’re grinding out spreadsheets or expense reports. During the R&D phase for the shirt, Lavelle said he drew looks from his neighbors when he went jogging in a prototype of the button-down with his pair of Rhodesian Ridgebacks at his side. Lavelle knows what he has in Mickelson: one of golf’s most loyal endorsers. When Mickelson met the press Thursday evening, still smarting from his 79, he gamely transformed from pro golfer to pitchman.